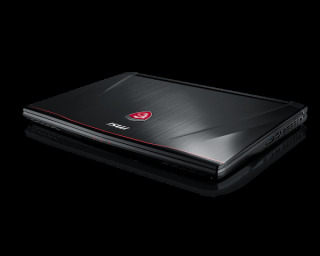 MSI has revealed the GS40 Phantom gaming laptop, which it says is the thinnest gaming laptop in the world. While it’s only 0.87-inches thick, the GS40 has got some decent hardware packed in. The Tardis-like GS40 has an Intel Core i7-6700HQ Skylake CPU which runs at 2.6 GHz, along with 16GB of DDR4 RAM at 2133 MHz. For graphics, it’s got the Nvidia GeForce GTX 970M, which has 3GB of GDDR5 memory. You’ll also find a 128GB PCIe SSD and a 1 TB SATA hard drive under the hood. For you audiophiles, the GS40 comes with Dynaudio speakers, along with an ESS Sabre Hi-Fi Audio DAC. The laptop offers 3D and virtual 7.1 surround sound in high definition. As for display ports, you’ll find one HDMI and one mini-Display Port, as well as MSI’s USB 3.1 Type-C port which can handle up to two daisy-chained 4K displays. The GS40 Phantom has a 14-inch display at 1920 x 1080 resolution, and the laptop’s dimensions are 345 x 245 x 22.8mm. It weighs in at 1.6kg (3.5 pounds). You can pick one up for an MSRP of $1,600.